I’ve been bearish on Nintendo for a while now, regarding their handling of the WiiU and their next console, codenamed NX. Even as a Nintendo fan, and someone that thinks the WiiU actually does have some great games on it, the realistic part of me is already finding fault with the rumors of what the NX exactly is. That said, in recent days, I’ve found myself wondering if maybe, just maybe, Nintendo has learned from the WiiU, and is on the verge of launching an incredibly popular system. It is launching mid-generation, much like the WiiU, throwing out of the console cycle. It is reported to be on par with the PS4, at best, meaning that, in terms of power, it could find itself behind almost from its launch as the PS4 and Xbox One are upgraded. It has yet to be revealed, in spite of launching in March of 2017, so all hype is built only on rumors. If my second point is true, will third parties ignore it instead of downgrading their games for it (which they stopped doing for the Wii, and essentially never did for the WiiU)? There are other points, but you get the idea. I guess, once a company has experienced a stumble on the level that Nintendo has experience with the WiiU, you want to hope for the best while expecting the worst with their next venture. That’s the stance I’ve been taking with the NX. I hope it’s good, but wouldn’t be surprised if it’s met with tepid sales and lackluster fandom. The little console that…never really did. But…but there is a market that Nintendo knows, and has never stumbled in. Nintendo knows the handheld market. Nintendo has been challenged multiple times (Game Gear, NeoGeo, PSP) and has always come out on top. Even with the WiiU floundering, the 3DS is still chugging along, practically embarrassing the Vita (which begs the question, why does Falcom insist on sticking the new Ys games on the Vita, forcing me to consider getting one in the very near future???). Now, this brings me back to the NX. It is almost certainly going to be a console/handheld hybrid. There are simply too many rumors from reputable sources for this not to be true. What if Nintendo markets the NX the same way they’ve marketed the 3DS, DS, GBA, etc…? What it Nintendo treats the NX as a handheld with television features? Yes, it’s their next console, but it’s also their next handheld, and Nintendo knows handhelds. It occurred to me, if this is the path Nintendo is truly committing to, the NX could be amazing. For one, it destroys the stigma of launching mid-generation. Handhelds aren’t held to the same standard as consoles in regards to when they’re launched. If it’s even close to the PS4, it’ll be viewed as extremely powerful if you take it on the go (and while I have my concerns, having a console at that level is hardly a bad thing). Also, if it’s a handheld even part of the time, why would third parties not port to it. That’s an entirely different market for them. The 3DS has done okay for itself. Finally, I think the most important development to come out of this is that for the first time since around 1990, Nintendo won’t be developing games for both a handheld and a console simultaneously. For the first time in 25 years, game development will be focused on one machine, and I don’t think the importance of that can be overstated. If you disagree, think of it this way. Years ago, I stated that if Nintendo wanted to shift a few million WiiU consoles, simply release a mainstream Pokemon title to the system. Pokemon sells. Period. A Pokemon game, by itself, would bring sales. I believed it them, I believe it now. Guess what. It’s happening with the NX. Granted, we don’t know what it will be yet, but rumors are that it is a remake of Pokemon Red/Blue. If true, that would be huge. And it’s possible now because Game Freak (after Sun/Moon) can shift their focus to Nintendo’s next handheld, which just happens to be their next console. Okay, this is all speculation on my part. The 3DS definitely still has life in it, so if continues to sell well, it will remain supported, and that could muddy the waters. There’s also the chance that I’m reading Nintendo’s intentions all wrong here. I don’t have an inside line or anything, I’m just making assumptions based on the rumors we have to work with. But I’m an eternal optimist, and I love Nintendo, so I’m doing all I can to see this in the best possible light, and I truly believe there’s a path for Nintendo to have a massive success with the the NX. People, seriously! Play The Wonderful 101! 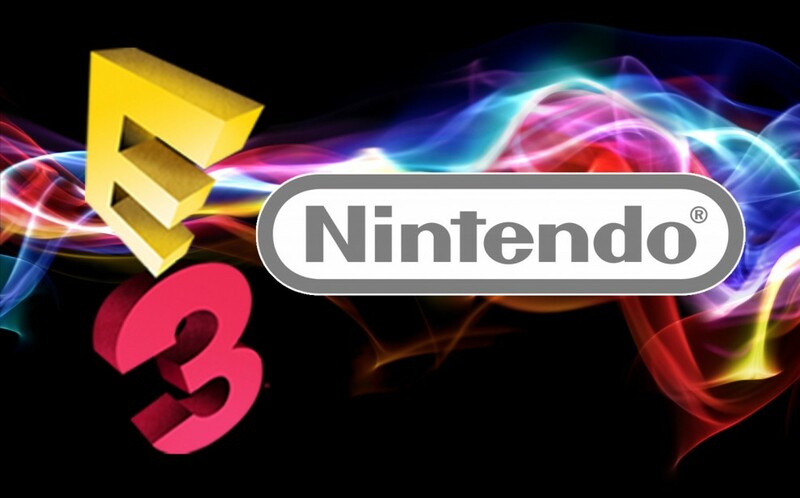 At E3 2014, Nintendo confirmed what had become a poorly kept secret. A new Star Fox title was in development for the WiiU. Titled Star Fox Zero, the game would utilize both the television screen and the WiiU Gamepad for play. The television would be a sort of action view, whereas the Gamepad would be used for aiming and controls, taking advantage of the Gamepad’s gyroscopic abilities specifically for aiming. Reactions to the unveiling of the game as well as the control structure were mixed. Star Fox Zero was confirmed for 2015, with a release date in November finalized in August, 2015. Star Fox Zero did not release in November, 2015. Instead, it was moved into the first quarter of 2016 to allow for extra development time. Star Fox Zero will not release in the first quarter of 2016. In North America, Star Fox Zero will now release on April 22, 2016…maybe. I also heard that Star Fox Zero is in the final stretches, which makes sense since it’s coming out in April. But it’s not all cat treats and scratching posts for the game. The foxing minds at Nintendo and PlatinumGames doubled down on motion controls. I love Nintendo, but all too often, their strongest assets, originality and innovation, are also their Achilles heel. Nintendo loves to think outside the box. They love to differentiate themselves from other console makers. They did it with the Wii by introducing motion control gaming. They did it with the Nintendo DS, using dual screens, one being a touch screen. They are attempting to do it with the WiiU, adapting the idea of the DS to a home console, while also incorporating aspects of the Wii. It’s a tall order, and based just on sales, it has not paid off (we can argue about games and such all day long, I actually do like my WiiU). The problem arises when Nintendo sets out to prove that their new ideas work. They are extremely stubborn and will seemingly compromise a game to make their newest innovation fit. Everyone remember Excite Truck? It launched with the Wii. It was a racing game that had you steering with the Wii Remote…and nothing else. There was no other option to control the game. I have to believe that some people avoided it because they prefer tighter controls in their racing games. I have to believe this, because I am one of those people. Remember The Legend of Zelda: Phantom Hourglass? A DS title that had you controlling Link by using the stylus? No other option was given to you. I tried the game and gave up on it because I hated the control scheme. This was also one of the few aspects of the game to receive any criticism. Remember The Legend of Zelda: Skyward Sword? The game that utilized Wii Motion Plus and was the game that would show the fulfilled promise of the Wii? It was critically acclaimed upon release, yet as time has passed, more and more people have pointed out the overabundance of motion controls in the game and how, while some are intuitive, some are just over the top and unneeded. None of these games were failures, quite the opposite actually. All were quite fun, but all are examples of how Nintendo can be ridiculously stubborn with their ideas, with their innovations. Mario Kart Wii got it right. You could control with the Wii Remote, or you could use more traditional controls. Why did Excite Truck (and later, Excite Bots) deprive the consumer of this choice? Why, in games like MadWorld and de Blob (not developed by Nintendo, I know), did motion control have to be added in a situation where its addition only served to remind the player that “Hey! I can wave this controller around?” It’s because Nintendo, as great as they are at being creative, simply can’t let their new ideas grow organically into their franchises/games. Sometimes, they just feel the need for justification, and I think it sometimes gets the better of them and their judgment. This brings us back to Star Fox Zero. I don’t recall anyone ever complaining about controlling and aiming with an analog stick in a Star Fox game (excepting Command here, which used the stylus). But Nintendo needs to further justify the Gamepad, and they will do that by putting the aiming mechanic in the Gamepad. Now, since the game announcement, Nintendo have clarified that you can opt to use the analog stick to aim, which is a concession that means maybe they are realizing where they have erred in the past. Still though, they are so insistent that the motion control play style be included that the game is obviously suffering as a result. Also, even with the concession of analog controls, this is still a game that was built to use the Gamepad, so how will analog aiming work now? My fear is that it will be quite choppy simply because it wasn’t planned for from the beginning. 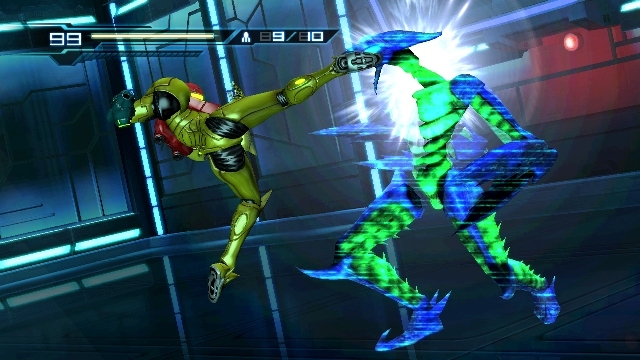 The game is meant to be theatric on the television, with most of the action taking place on the Gamepad. So, essentially, you’re playing a handheld game on the WiiU (unless you can swap perspectives, no idea if that’s going to happen). Look, I’ll level with anyone reading this. I have not liked the ideas behind Star Fox Zero from its first preview. I demand tight controls in my games, and maybe that puts me in the minority, but unless I see something dramatic in future previews, this is a game I will most likely skip simply because I believe the control scheme is absurd (again, possibly in the minority). The continued rumors of the motion controls being problematic are only serving to strengthen my resolve against Star Fox Zero. My past frustrations with some shoehorned in motion controls aren’t helping matters. I realize I’m being hard on Nintendo here. They have had far more hits than misses. The Metroid Prime Trilogy, Super Mario Galaxy, Donkey Kong Country Returns, Pokemon, Xenoblade Chronicles X, and Super Mario Maker are all examples of games that implemented Nintendo’s console innovations seamlessly with gameplay. This is where Nintendo shines, but at times they buy into their own hype a bit too much and combine an idea with a game in such a way that doesn’t work well and will potentially put fans off. When they do this, they rarely leave an avenue open for more traditional play. But then, that seems to be Nintendo’s modus operandi. As I stated, maybe there implementation of analog controls in Star Fox Zero is a good sign in that Nintendo has learned from previous criticisms, but it’s only too bad that they realized it so late in the game. First off, I have never played a Dynasty Warriors title, so when Hyrule Warriors was announced as a sort of hybrid of the two franchises, I literally had no clue what to expect. As more trailers and gameplay segments were released though, it continued to pique my interest, and I ultimately ended up owning it (Thanks, Christmas!). The question is, does it hold up well in the Zelda franchise? You are Link…well, initially you are Link. You will eventually be Impa, Zelda, Midna, Ruto, and a whole other cast of characters from all walks of the Legend of Zelda games. An evil force has invaded Hyrule, and you, along with the other good guys, begin a journey to stop it in its tracks. Along with the numerous familiar heroes you’ll control, there are also an equal number of villains that make an appearance, ranging from the “big guys” such as Ghirahim, to more minor foes such as Dodongo and Lizalfos. 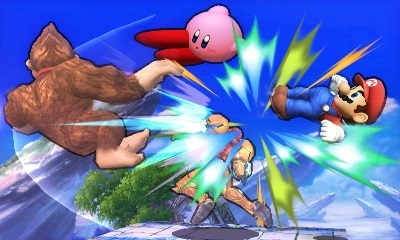 Each character has a different weapon to use (along with upgrades and weapon augments), and attacks vary, meaning that there is some variety in the combat, which is crucial since this game is VERY combat-centric. Maybe they just want to talk. The game begins with a large army invading Hyrule in an effort to take Hyrule Castle. The army is led by Cia, a new character, and her generals Volga, a flame-breathing dragon warrior, and Wizzro, an annoying as hell purple clad wizard, reminiscent of the Wizzrobes from the original Legend of Zelda (who were probably his inspiration). Cia is a sorceress, and guardian of the Triforce, maintaining balance. 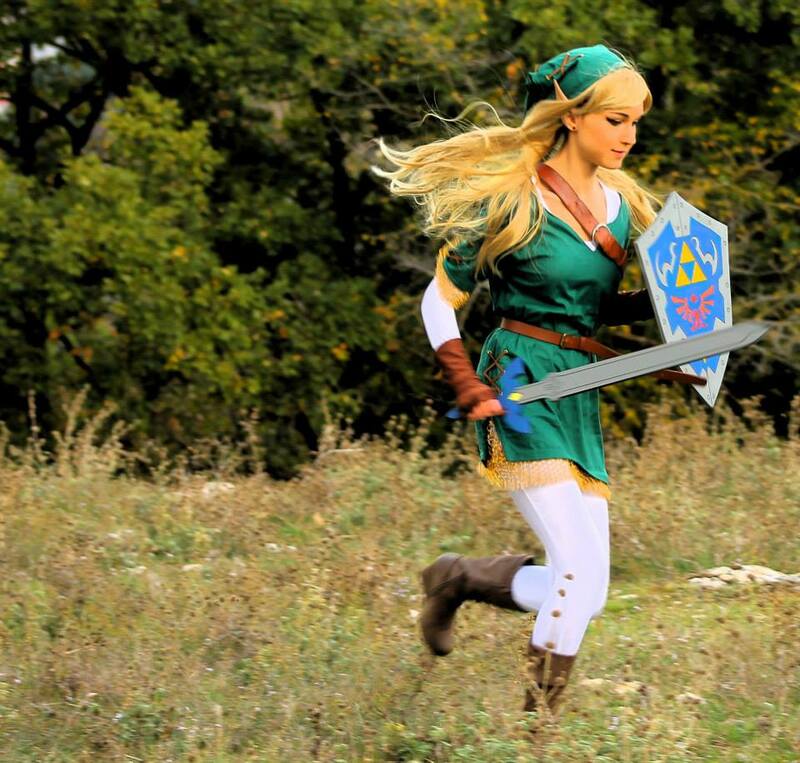 For reasons that aren’t initially clear, she has abandoned her post and is seeking to overtake Hyrule. Link, a trainee in the Hyrulean army, joins the battle, only to discover he possesses the Triforce of Courage. In spite of a valiant effort, and a victorious battle with the giant Dodongo, Zelda is found to be missing at the conclusion of the battle. Impa asks for Link’s assistance in finding her, and they then journey throughout Hyrule, meeting up with the mysterious Sheik (we all know Sheik is Zelda by now, so don’t pretend that’s a surprise) and Lana, another sorceress from the same clan as Cia, only serving the side of good, assisting Link and Impa in their battles. The story deepens when Cia opens a Time Portal to different eras of Hyrule, bringing the villains of those eras to her side. However, when these are opened, heroes from those eras arrive as well, assisting Link, Impa, Sheik, and Lana. 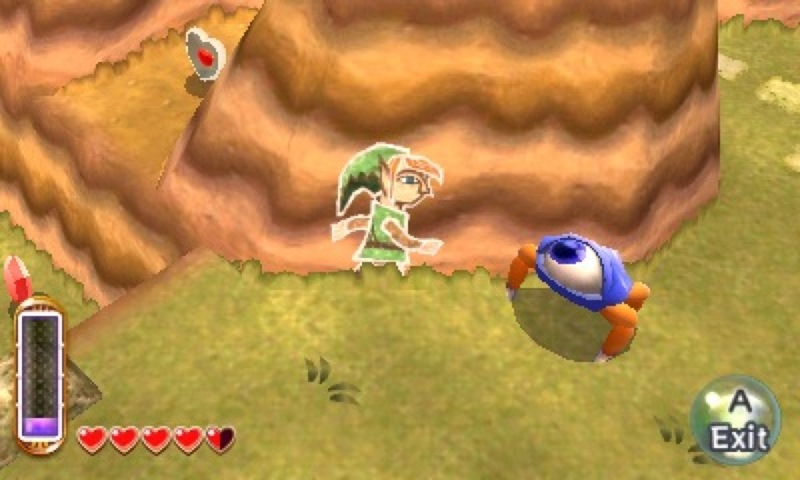 Deepening this game’s ties to the Zelda franchise, each character is encountered in their specific era. 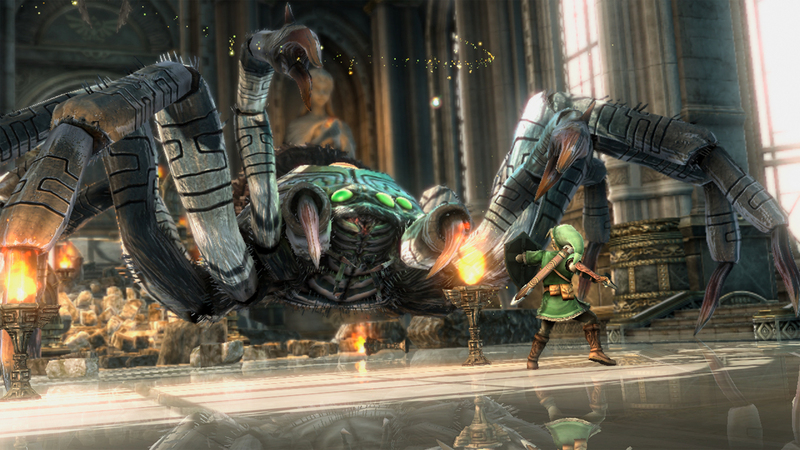 For example, both Midna and Zant are encountered during a battle on the Twilight Field and Palace of Twilight maps. It’s obvious that great care was taken when designing the story to treat these characters with respect, and remain true to each of their origins. 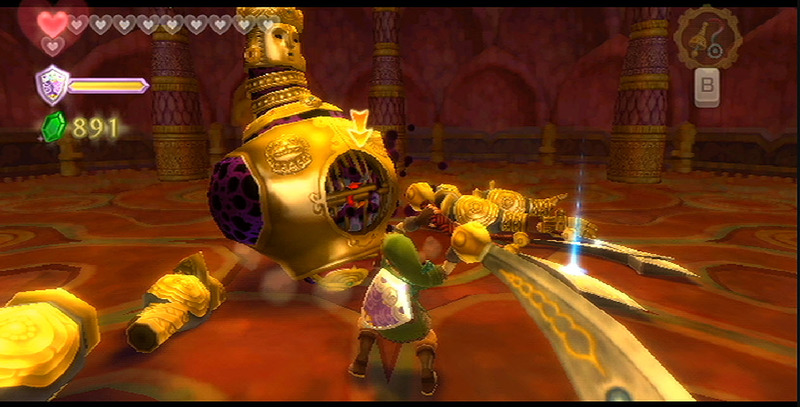 True to his original appearance, the Imprisoned is just as aggravating here as in Skyward Sword. Much to my surprise, I felt that the story of Hyrule Warriors was quite strong, more in depth than many of the main entries’ stories, frankly. It wasn’t one dimensional, or straight-forward, but revealed a bit more with each battle you complete. This doesn’t mean that it stands up beside narrative powerhouses such as NIER or a Final Fantasy entry, but for a game that is, at its heart, a hack-n-slash, it was impressive that a cohesive story exists at all. This game is most definitely a hack-n-slash title. You take control of a character, attack hordes of enemies with your weapon, rinse and repeat. This sounds boring and redundant, but it is spiced up with the inclusion of secondary weapons such as the boomerang, bombs, and bow & arrow. Fortunately, most enemies are taken down in one or two attacks, so you never feel overwhelmed, despite being attacked by hundreds of enemies. Harder enemies will require some strategy to take down, mainly consisting of dodging attacks, and waiting for a weak point gauge to be revealed. Reduce this to trigger a stronger attack with your character. Most bosses can only be harmed via this method. It must be noted that some characters have multiple weapons to choose from for each stage, and stronger versions of those weapons can be collected by defeating enemies. One last element added to spice up the gameplay is the collection of items, much like the collection process in Skyward Sword. Collect a certain number of particular items, and you can unlock, or buy, various upgrades that increase attack power, add the ability to use health potions, strengthen secondary weapon attacks, etc… This is both fun to use and tedious at the same time. Some needed items are only dropped by bosses, and completing a level just to not receive the item you were after can be aggravating. Now, so far I’ve only spoken of the story mode (which includes free-play of levels once they are completed, with other characters). Also included are challenge maps (some are DLC only) that appear as overworld maps in the style of the NES Legend of Zelda. Each square has certain rules or requirements that make each battle unique. These can be very short, or as long as a story level. To unlock adjacent level blocks, you must achieve a certain ranking (bronze/silver/gold) in the current level. Again, the ranking is based on differing factors (enemies killed and time in story mode, any number of factors on the challenge maps). These maps unlock stronger weapons, different outfits, and even some new characters you may play as, so I never considered them optional in the slightest, though I imagine some people will. Hyrule Warriors is most definitely not for everyone. I can deal with redundant combat and levels, so I quite enjoyed the game, but if you prefer variety, such as you would find in the Arkham games, this is not the game for you. But then, this game doesn’t ever apologize for what it is. It is very much what you see is what you get. You’re never fooled into thinking that you’re getting a full-fledged Zelda adventure. This is a Dynasty Warriors game with a Zelda skin. At the end of the day, it appealed to my love of the hack-n-slash genre and my need to collect as much as possible in a game. There is also an odd benefit to a game such as this. It’s the type of game you can take a break from for weeks, then fall right back into. There are no complex button sequences to memorize, or the risk of forgetting where you are in the story and where you should go next. Again, this will be frowned upon by some, but I rather liked that aspect. Is this a great Legend of Zelda game? No, but it never really tries to be like other Zelda games. When judged by its own standards and not against the Legend of Zelda franchise, I think it stands up as a very good game. The game clearly takes itself very seriously. 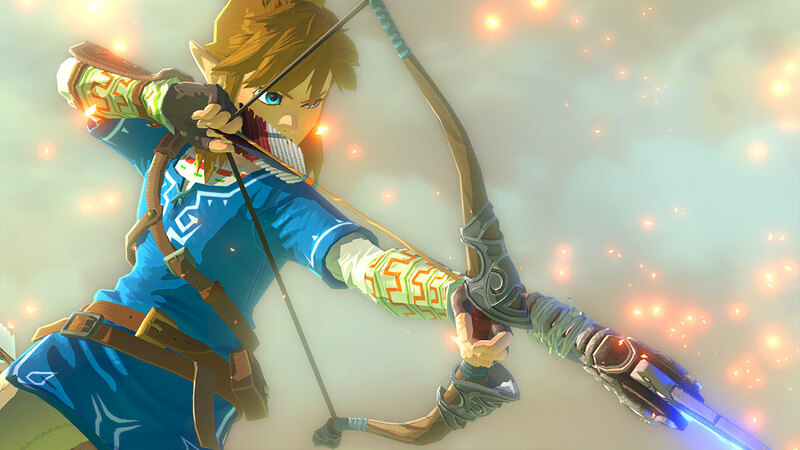 There has been quite a bit of buzz regarding Nintendo’s next Legend of Zelda game, coming to the WiiU in 2015, since this year’s E3 trailer gave us a first look at the title. After the trailer debuted, Eiji Aonuma made it a point to refer to the size and scope of the game, referring to it as an open world game, in which you could “gallop over to the mountains in the distance if you so desired.” That’s a quite a bit of promise, and something never before seen in a Legend of Zelda title. Oh, make no mistake, there have been very sizable adventures, but natural boundaries have always prevented something such as that which Aonuma was speaking of. Earlier this month, however, Shigeru Myamoto seemed to contradict those remarks a bit, stating that he would “prefer not to use the generally used term “open world” when developing software, but [they] used this term [at E3] in order to make it easier for consumers to understand. This term means that there is a large world in which players can do numerous things daily.” It’s not a true contradiction, but it does make you wonder exactly what we’ll get with the next title in what is easily Nintendo’s biggest announced 2015 title for the WiiU. While virtually all entries in the Zelda franchise have been widely praised and sold well (no, we don’t count the CDi “games”), it’s also true that by and large, there has been a formula that each entry follows. It’s similar in many ways to the Metroid mechanic. You begin the game virtually powerless, amass stronger items via exploration, thereby unlocking more areas to explore. With Zelda, this is done via dungeon exploration. In some way, your actions in one dungeon will then allow you to advance to the next dungeon, so on and so forth. Now, understand that I’m breaking this down to the very bare bones of a formula. The layers that are painted over that bare formula offer many unique aspects that differentiate each title. I just want to point out that, for the most part, there is still a formula to how these titles work. Not that a formula makes them less fun. Or, at least that was the case until this past year when Nintendo released A Link Between Worlds, the sequel to the masterful Link to the Past. For the first time that I can recall, Nintendo turned expectations on their head. Yes, there were still dungeons to explore along with items to collect and an overworld with numerous secrets. This time, however, it was almost like Nintendo took a page from the Mega Man template and allowed you to tackle the dungeons in any order you wished. The items needed could be rented for a price (and eventually purchased outright), instead of having to be found in dungeons. While there were a few negatives to this, such as the game seeming a bit easier than usual, which I attribute to the designers not knowing how much health and such you would have from one dungeon to the next, overall the game felt very much like a breath of fresh air to me (you can read all about my thoughts on it here). The question now is, was that game a one and done, or was it an indication of where Nintendo may take the series on the WiiU. I’m firmly convinced that it is the latter, and I believe that statements made in the stories above back that up. I give Nintendo credit here, they’re aware that, despite the Legend of Zelda’s popularity, there is a growing sentiment that it is becoming a new layer of paint in a room we’ve all seen before, hence the changes seen in A Link Between Worlds. Revisiting the quote from Miyamoto above, it seems that the idea may be to combine Zelda with some elements of a game like Animal Crossing. They seem to be hinting of a game where life carries on whether or not you are in the game, much in the way that Skyrim operates. There is a main narrative and plot that you will need to take certain actions to advance, but at some points, you can step away from that and take on side-quests from NPC’s or just explore the land for a while. I also wonder if they’ll revisit the “Choose Your Own Adventure” style of exploration they used in A Link Between Worlds. While they may very well go that route, there is another dynamic I, personally, would rather see in the next entry. Two of my favorite moments from the more recent Zelda titles both occurred in Twilight Princess. Both were dungeons, Arbiter’s Grounds and Snowpeak Ruins. I’m assuming that many people just took these as regular dungeons, interesting, fun and such, but still just dungeons. What impressed me the most though, is that in both cases, I didn’t even realize I was completing a dungeon until I was already about 50% each of them. The game pointed me in the right direction, but I never realized that I was actually in a dungeon, hunting for items and getting closer to a boss. It was a very organic experience, and when I realized that, it gave me a bit of joy at having been fooled by the seamless nature of those dungeons. It’s that dynamic that I’m curious about in the next title. While I did love what A Link Between Worlds did with the dungeons, I prefer what Twilight Princess managed to accomplish and would like to see that further implemented in some way in the WiiU entry. What better way to shake up the formula than to fool the player into entering a dungeon without ever realizing they’re in the dungeon. Arbiter’s Grounds also contains one of my personal favorite boss fights. Following the quote above, Miyamoto further stated: “In the traditional “The Legend of Zelda” series, the player would play one dungeon at a time. 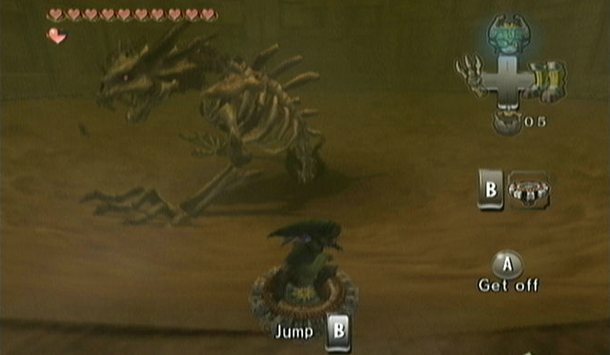 For example, if there are eight dungeons, at the fourth dungeon, some players may think, “I’m already halfway through the game,” while other players may think, “I still have half of the game to play.” We are trying to gradually break down such mechanism and develop a game style in which you can enjoy “The Legend of Zelda” freely in a vast world, whenever you find the time to do so.” That’s sort of what I’m speaking of above. Traditionally in this game, and most others, the world only exists when you’re present in it. What I suspect Nintendo is going for with this entry is to create a world that exists whether or not you’re present to see it exist. Hence my Skyrim and Animal Crossing comparisons. It sounds like an MMORPG, only without the MMO portion of it (as far as we know, anyway…). I suppose I could even add in a Fable comparison here. At least Nintendo is taking ideas from some great games, assuming this is what they’re attempting to create. All of this said, I do still expect this to be a Legend of Zelda title. 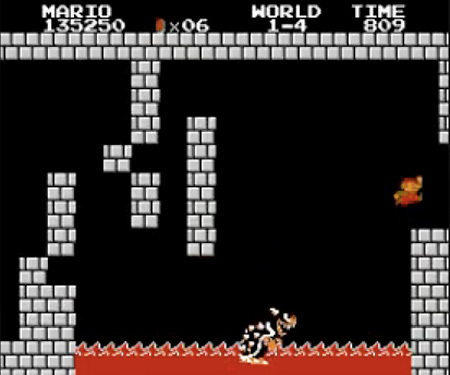 You will have a horse (as seen in the trailer), you will have a bow and arrow, you will fight enemies with a sword, and, at some point, you will be overjoyed to lay a bomb and blow a wall up. These are the elements of Zelda that we know and love. I don’t think anyone wants Nintendo to blow the franchise up, I just think that fans of the series would like to see a few more changes than what we’ve been given in recent entries. That doesn’t mean that those of are that are fans didn’t enjoy those games, it’s just that we want Nintendo to step outside of the box and surprise us again. Make us feel the way we did the first time we warped to the Dark World in A Link to the Past, or emerged from the Temple of Time as an adult in a ruined world in Ocarina of Time. Again, to their credit, I think Nintendo is listening to the fans. Nintendo has realized that their premier franchise has grown a bit dusty over time, and they’re in the process of blowing that dust off and putting on a new coat of paint. I’m excited to see what colors they pick out. Mario Kart 8, for Nintendo’s WiiU, has reportedly been hacked. Okay, let’s back up just a bit. According to the linked story above, the game has been hacked in a very rudimentary fashion, not in a way that could be used to break online play. Also, according to the poster of the video featured in the article, he/she/they have no intention of releasing said hack or assisting others in cheating in online play. This is extremely important to note as it means that (1) I was a bit quick on the draw in my Tweet and (2) the online play in this game won’t, yet, turn into Mario Kart Wii. I loved Mario Kart Wii. Some people didn’t, but I enjoyed it immensely, especially when racing online against people that had true skill with the game and were not rubber band assisted AI. That changed once the game and system were compromised and people started regularly playing online using mods that allowed them constant bullet bills, mushrooms, etc… It essentially destroyed random online matches. Nintendo attempted to ban those exploiting the hack(s), but there were so many that it was simply a lost cause right from the beginning. After a few attempts at an honest race and getting stuck with people that were exploiting compromises, I just gave up and raced only with friends. I’ve done a bit of racing online with Mario Kart 8, and don’t want to see it suffer the same fate. It wasn’t just Mario Kart Wii though. The Conduit, another Wii game with online multiplayer suffered a similar fate, as do many online games (I think the Wii just must have been an easier crack, apparently). What I don’t get about this is what is the point? What joy is gained from giving yourself a Game Genie level advantage in a game against other people? This isn’t like picking Oddjob in Goldeneye on the Nintendo 64. That’s just annoying, but you can still succeed. This is essentially making yourself invincible. I just don’t get the point of that. Are online bragging rights against people you don’t know really that important? I enjoyed using the Gameshark or in-game cheats on Goldeneye as much as the next guy (making myself invisible was a personal favorite), but it was either blanket cheats for multiplayer or me playing through solo missions with cheats on just for kicks. What I didn’t, and wouldn’t, do is spoil the fun for everyone else involved, and that’s exactly what this subset of hacking does. It robs a game of the fun, and creates an aggravating and frustrating experience for most people. Now, all of that said, it’s critical for me to clarify that I don’t believe that the majority of hackers/modders go in for this kind of thing. I completely believe that this is more of a few bad apples ruining the barrel…or however that saying goes. Just based on my reading and viewing YouTube videos (such as the one above), it’s usually a case of people taking on a challenge and seeing what they can do with it. Just as I enjoy playing games, they enjoy breaking into the code and seeing how the games can be manipulated. Then, once they’ve succeeded on some level, testing it out against friends who may or may not have done the same. It’s like a closed community. There’s no will or desire there to ruin anyone else’s experience with the game. I have no issue with that at all. If that’s something you enjoy doing, then my hat’s off to you. You are far more talented in that arena than I am. It’s also very much worth noting that in many cases, hacks or mods can actually supplement a game, or even alter the game until it’s a new experience. This article from PCmag highlights a few of the better ones and I’m certain that many of you reading this have watched or attempted Super Mario Frustration (one of the funniest YouTube videos I’ve ever seen featured someone attempting that game). This is where hacking a game becomes fun for everyone, and is the exact opposite of the people that use it to break online gaming in some way. I’ve read of more than a few cases where people have hacked a game in such a way so as to add something that the gaming community wanted, but the developer never added. Again, this is almost completely a positive thing. This is also why it’s imperative that I ensure that I’m not painting everyone that attempts to break into the coding of a game, PC, or console with the same brush. There are many more cases of people modding games to improve the experience without harming the experience of others than there are of the opposite, but just like with most negative news stories, it is the problem that gets the most attention, whether its fair or not. Ultimately, I’m not happy that this has happened because I know now that the clock is ticking down. At some point, this will spread to online play and slowly but surely finding a non-compromised race via wi-fi will be virtually impossible. But, while I’m not happy that the game has been compromised, I have to keep in mind that the people behind this mean no ill-will. Those people will come, but right now, these people are just doing something they enjoy, in the exact same way that I enjoy just playing the games. Just for kicks and giggles, I decided to Google Search Video Games and Sexist together…I wish I hadn’t done that. For the time being, I’m not going to address the “Racist” accusation above. I haven’t played Watch Dogs and haven’t read enough about it to make any kind of an educated statement about that. That leaves the sexist accusations. The general consensus that I’ve seen is that all too often, players aren’t allowed to play as a female protagonist and are instead forced to play as a male, or choose from a selection of males (in multiplayer). I’ve sort of hit on this before in a Top 8 post, but it’s still going strong. And she’s so obviously a female. I’d be perfectly fine living in a world where this existed. Nintendo is banking on some big titles to turn the tide for the struggling WiiU. The first of those, Mario Kart 8, finally hit stores just a couple of weeks ago. Since the initial entry on the Super Nintendo, a Mario Kart title has graced each of Nintendo’s systems, becoming one of their best selling franchises. The big question now, is it a strong enough franchise to begin to turn the tide of the WiiU’s fortunes. Initial results are promising (1.2 million units moved since launch), but whether or not that will be a long-term trend remains to be seen. The smaller question I’m looking at though, does this title do its legacy justice. This will be a bit of a different wrap-up than what I usually do. This is the first game I’ve done one of these for that hasn’t been a story drive game, with an established beginning and ending. All I have to look at is content and gameplay, so that is where my focus will be in this post. The principles of Mario Kart are well established, so I’m only going to touch on them briefly. 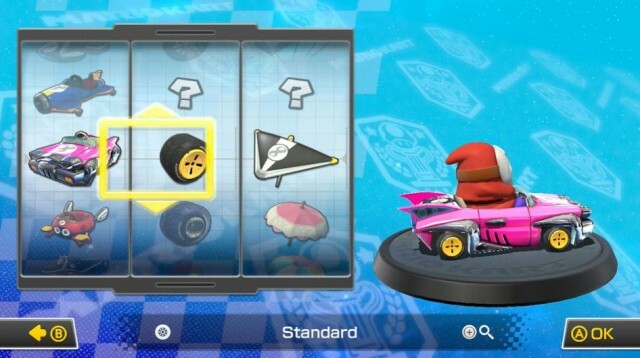 You choose a racer, a kart, and a track or cup, depending on your play mode. You then fight tooth and nail with other competitors to win the race, using slick driving and an array of items. That’s the gist of it. Quickly, speaking of the items, there is a mix of old and new here, with the most prominent of the new items being a horn that, when used, will destroy any items within range, including the much dreaded blue spiked shell. Other newcomers are the piranha plant, boomerang, and crazy eight item (similar to the lucky seven item from Mario Kart 7). There are a few differences here from the last console entry on the Nintendo Wii. First of all, the karts (as well as bikes and ATV’s) are customizable with different tire and glider options. This is the same mode as found in Mario Kart 7 on the 3DS, but is new to a console entry. 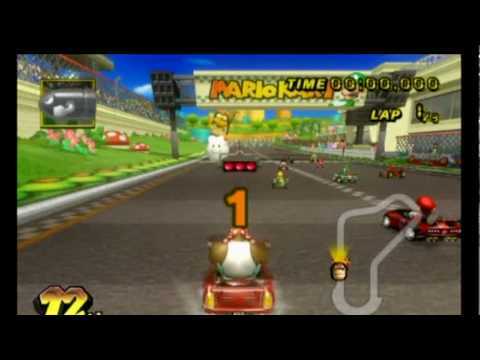 As you complete races, you will unlock new kart, tire, and glider options by collecting coins during races, a feature that was absent in the Wii entry, but was, again, present in Mario Kart 7. The differing options do seem to make a difference in handling and speed, and are quite a bit of fun to mix and match in an effort to get the best combination. As with all the entries, you will have numerous characters to pick from to pilot your kart. A few have disappeared since the Wii entry (Diddy & Dixie Kong, for example), while the Koopalings have all shown up for this entry. The characters vary in weight class and your pick will affect your acceleration and speed. To unlock new characters, you will need to win Gold in each of the cups. This is essentially an aesthetic choice that won’t affect much, but there is something fun about being able to race as Ludwig Von Koopa or Metal Mario. This is what it’s all about. Essentially, there isn’t too much to say here, but that is a very big positive. The Mario Kart series, for the most recent entries especially, have excelled in control, and that remains true here. Drifting is integral to advancing and winning any race. As with all new entries, there is a learning curve regarding the drift and how to play with it to take the tightest turns, but after a few races, this will become a non-issue as you adapt to the new physics. Completely new to the series, adding to the holdovers from Mario Kart 7 (underwater racing and gliding) are sections that will see your car shifting to anti-gravity mode, meaning you will be racing vertically, horizontally, and upside down. 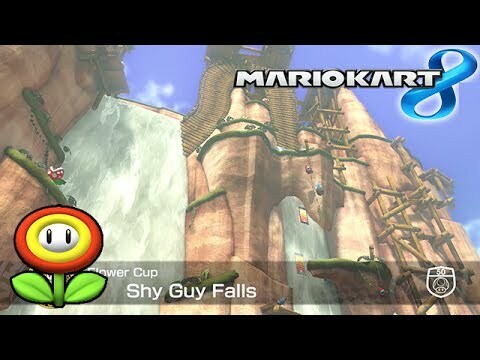 There’s no real change to the racing style in these sections, excepting a spin followed by a slight speed boost when you make contact with another racer, but it does allow for some insane track design that would occasionally leave me shaking my head in awe at what Nintendo came up with. One particular section (as called out in a comment in my Top 8 Tracks post) sees you racing up and down waterfalls. What makes these sections so awe inspiring is that you don’t always notice the design right away. This sounds like a negative, but it’s actually a testament to how smoothly the track transitions from one section to the next and, once you do notice it, you will be left wondering how you ever missed it. Speaking of track design, including in Mario Kart 8 is the traditional collection of 16 new tracks, along with 16 reworked classic tracks. I did question a few of the included classics, but also had to remember that many tracks have already received the “classic” status in previous entries. Despite my questioning of the tracks, they are still quite fun, and the new elements have been included seamlessly. 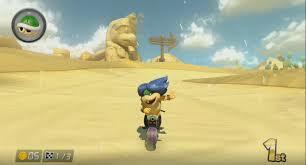 The new tracks in Mario Kart 8 are some of the best I’ve seen in an entry. Looking over them, there are truly none that I don’t enjoy racing at, which is not a statement I can make about any other entry in this series. The designers for this game definitely deserve a tip of the cap as they were at the top of their game based on the new tracks included in Mario Kart 8. One thing that I must address before wrapping this up is the dispersion of items. Mario Kart Wii received some well deserved criticism for what seemed like an over abundance of blue spiked shells that would all too often steal a race in what felt like a very unfair manner. My time with Mario Kart 8 saw far fewer blue spiked shells being used, so I do believe that Nintendo addressed this. It will take some more time with the game to truly determine this, but my short term opinion is that they have been cut down on. 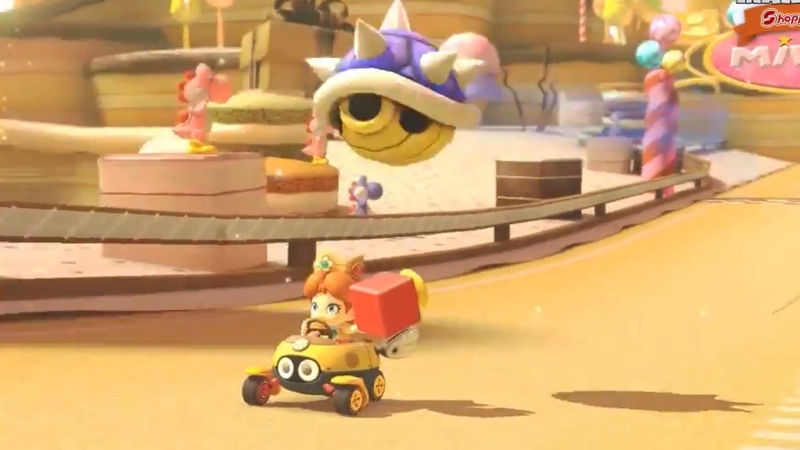 One thing I have noticed, however, is that green shells seem far more accurate in this game. I’ve been hit with more green shells in this game than in any other entry. It could be a massive coincidence, but I suspect that a larger margin of error has been included in this game. Like the blue spiked shell usage, however, it will take more time with the game to be able to make a true call on this. I’ve focused here on the racing, but there is also a local multiplayer mode, a battle mode (on tracks instead of arenas as in past games), and wi-fi racing for both single player and multiplayer. My time with wi-fi was very positive. I was added to a group very quickly and observed the end of their race before joining them in the next match. I saw no lag or anything that I could point to as a negative. I don’t know if this game will move units or turn around the fortunes of the WiiU, but is a very solid game and another strong entry in the Mario Kart franchise. Nintendo may be having hardware issues with the WiiU, but when it comes to game making, titles such as Mario Kart 8 remind you of why they have been around so long and will continue to be around for some time to come. This is simply a fun game, and a joy to play, be it by yourself, with a friend(s), or online. I can’t say that you should buy a WiiU to play this game since that is a major investment, but what I can say is that if you already own a WiiU, you owe it to yourself to pick this title up. I can’t imagine anyone regretting a purchase of Mario Kart 8. We’re a week away from what those of us in the gaming industry wait for each year. E3! This week, I’ll be posting a blog for each of the “Big 3,” detailing what I feel they need to do and what I think they may do. This is all pure speculation and it will be interesting to see just how far off I was once E3 has concluded. Just like last year, Nintendo is going to skip the traditional press conference in favor of a Nintendo Direct type event. Strategically, I don’t have a problem with this move. These have worked well for Nintendo and it does allow them to have everything prepared before hand, sparing themselves any glitches or embarrassments (if only they could have focus group tested that Wii Music demo…). Personally, however, I dislike this idea. I like seeing and hearing the excitement of the audience as new games are revealed. I still would have loved to see how an E3 audience would have reacted to last years Mega Man in Smash Brothers announcement (hard to believe that was a year ago). Like Sony, there are two fronts to Nintendo’s digital presentation, and I think they’re approach to each will be drastically different. Honestly, I don’t think that Nintendo needs to do too much in regards to the 3DS. Obviously, new games will be announced, but the system is a beast, even if it isn’t matching the DS in sales. I’m certain we’ll see more gameplay from the recently announced Pokemon Sapphire and Ruby remakes, not to mention the 3DS Smash Brothers entry, and we’ll probably be getting a new game from Nintendo’s stable of core franchises. I think that overall though, Nintendo is going to shine more light on 3rd party entries for the 3DS. The system has a strong library and Nintendo has to be focusing quite a bit on the WiiU at the moment. It’s the perfect climate for them to step back on their first party announcements and allow the 3rd parties to take center stage. Not only will this allow Nintendo to showcase the variety of games the 3DS is receiving, but will also build goodwill with 3rd party developers, which is always a positive. I’m not normally a fan of the status quo, but in this case, I think Nintendo can afford to cruise just a bit. Heaven only knows how huge this title will be on the 3DS. Yeah…the WiiU. The good news here is that I think Nintendo has finally admitted to themselves that the WiiU just isn’t going to perform as they had once hoped. This is a good thing. Now, what they have to do is give consumers a reason to come back to the WiiU, or consider it at all, in order to make the system a viable 2nd console (I just believe that the chances of it being an alternative to the PS4 or Xbox One are nil). 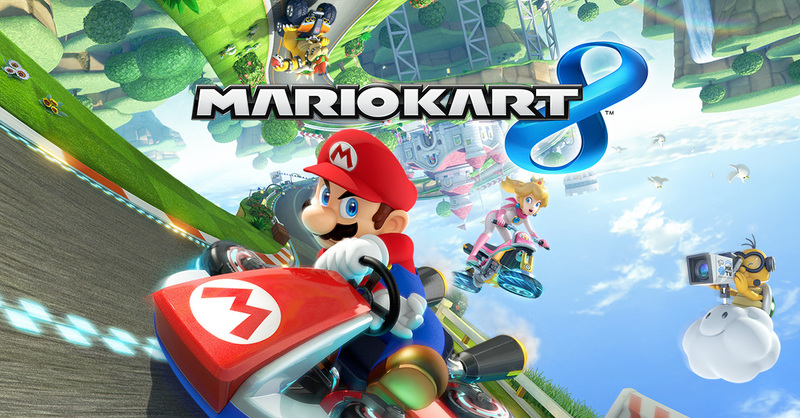 That starts and ends with games, of which Mario Kart 8 is the first of their big pushes. For their digital presentation, they need to pull out all the stops. Throw everything against the wall and hope that something sticks. I’ve written before that Nintendo will not win this generation, but that they can be respectable. This is the time to take that step towards respectability. We’re going to see Smash Brothers videos, that’s a given. I suspect that we’ll also see some focus on Watch Dogs (even though it’s already out for the Xbox One and PS4) and Bayonetta 2. An announcement of a port of Bayonetta isn’t totally out of the question either, given that the sequel is a WiiU exclusive. There is also the next Sonic title, which I believe will receive some attention. Ultimately though, I think that they need to take the opposite approach with the WiiU than what I suggested they take with the 3DS. 3rd parties have ditched the WiiU, by and large. If this system is going to sell, it’s going to be Nintendo made games that sell it. I believe they need to give a release date for Monolith Soft’s X, preferably for year end. I also feel that they must showcase the next console Zelda title in some capacity. 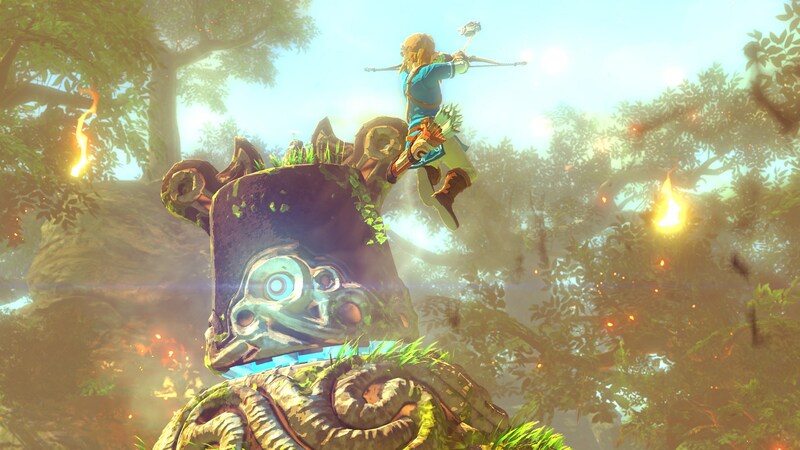 Zelda will move consoles, so the sooner the better for Nintendo. 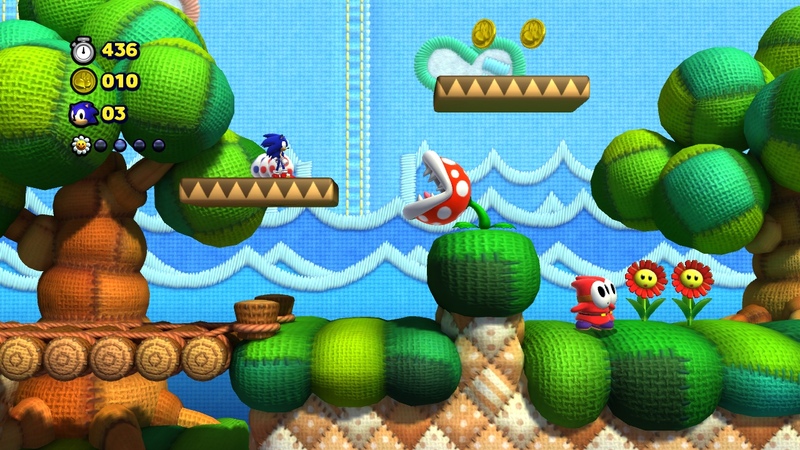 On top of that, we need more info on the mysterious Yarn Yoshi game we were shown some time ago. Is it even still in development? I feel that in addition to those moves, they also need to have something else on hand that we haven’t heard about. Some game or games that will leave us dying to know more. Think the Other M or Twilight Princess reveal. I so hope the next Zelda is in this art style. Nintendo is well known for keeping their secrets close to the vest, but this is not the time for that. Let people know what’s in development, even if all that’s available for showing is concept art. People need to be reassured that more games are coming to this system, and giving them a rough idea of what’s being worked on would accomplish just that. Imagine seeing some concept art for a new console Metroid title, or Star Fox, or Kid Icarus…or all three. Just knowing that new, big name titles are in development would add value to the WiiU system. At this point, they need to make the WiiU appear as valuable as possible. I just can’t believe Yarn Yoshi would be cancelled after this DLC for Lost World.